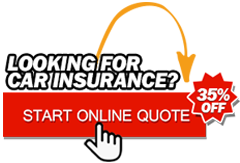 Now a Days, There are many car insurance companies in the Philippines, it is also worth looking into ways to cut other related operating expenses. One place to start is car insurance. all drivers must carry car insurance protection, but many people just pick an insurer after they buy their first car and don't look at the details of the policy for years. not all car insurance is the same . if you want cheap car insurance, you have to choose the lowest amount of coverage that's legally required. This Vigattin Insurance coverage usually consist of liability insurance at the lowest legal limits. If you cause an accident, it pays for others' property damage and medical bills and that's it. For more coverage, you have to raise the limits and buy optional coverages, which bring the price of insurance a lot higher. If you want "cheap insurance" the company doesn't matter as they all vary and in very different ways. One company might cheaper for person A but for person B they are the most expensive. Once you’ve seen some quotes, you need to master discounts the key to cheap car insurance rates. Many insurers have a wide variety of overlooked deductions that go beyond bundling or insuring multiple vehicles, and some of them are less obvious than you may think. Getting new quotes on the regular is the best way to avoid price optimization because, just like other personal data, insurers can see how often you shop around. The more you do it, the less likely they are to risk upping your premium and lose you as a customer. A little legwork now can save you big in the long run, so remember to re-evaluate your car insurance at least annually. Your own changing circumstances and old-fashioned competition between insurers always has the potential to hook you a cheap car insurance policy.